Whether you are planning to have an intimate wedding or an exorbitant one, Lucky Banquets will surely match your unique choice, budget, and requirements. With a capacity of accommodating up to 200 in seating and 600 in floating, the venue has a cosy and comfortable interior for the guests. It also offers an in-house team of caterers that puts all the efforts to delight the guests with mouth watering multi-cuisine dishes. A household name, owing to its stellar biryani, Lucky Restaurant's banquet hall in Chembur has a lot going for it. 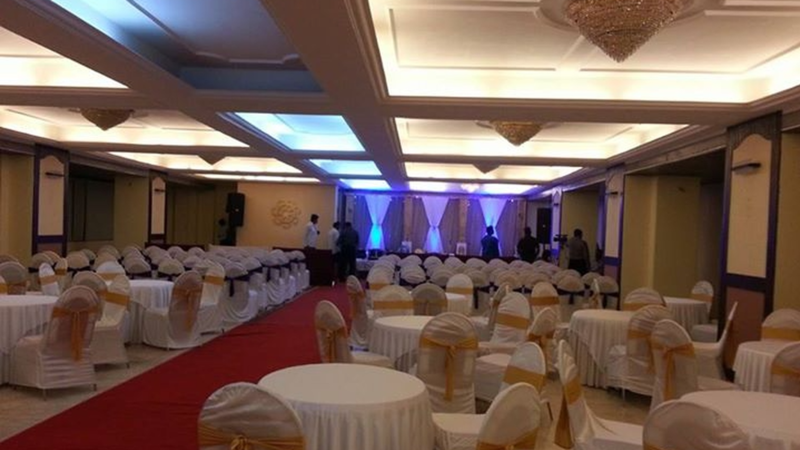 The swanky venue has majestic crystal chandeliers that set a regal tone for your special function, and the location is within easy access of South and Central Mumbai. They can also decorate the venue to suit your occasion or theme and their chefs are sure to impress your guests with their lip smacking range of delicacies.